The official IRNA news agency said it was a vehicle bombing. 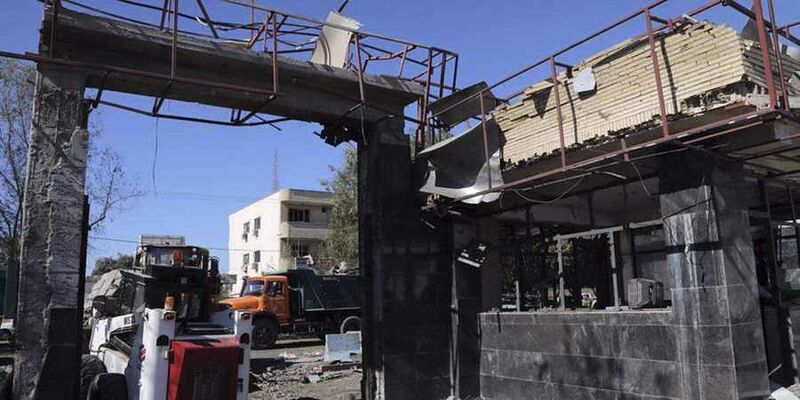 Ansar al-Furqan, a Sunni jihadi group, clamed credit for the attack. Another coordinated June 7, 2017 IS group assault on parliament and the shrine of Ayatollah Ruhollah Khomeini, the leader of Iran's 1979 Islamic Revolution, killed at least 18 people and wounded more than 50. Footage showed smoke rising over the city. In June past year, IS militants attacked parliament and the shrine of Ayatollah Ruhollah Khomeini, the leader of the 1979 Islamic Revolution, killing at least 18 people and wounding more than 50.